Author: Yakubu Mukhtar. Series edited by: Beatrix Heintze, Karl-Heinz Kohl. The first and last decades of the 19th century form significant periods for the economic history of the central Sudanic kingdom of Borno: In both periods the economy suffered greatly as a result of invasions, first by the Fulani (or Fellata) rebels in 1808/9 and later, in 1893, by Rabih ibn Fadl-Allah. Rabih’s period in Borno history came to an end with the colonial conquest of the Chad basin in the opening years of the 20th century. The colonial economy in Borno developed slowly, to some extent because of the paralysis brought about by Rabih’s invasion. More important factors accounting for the slow development of exports for the overseas markets, however, were the remoteness of the Borno province from the new centres of commercial activity along the Nigerian coast, and the late arrival of modern transport facilities in the province. 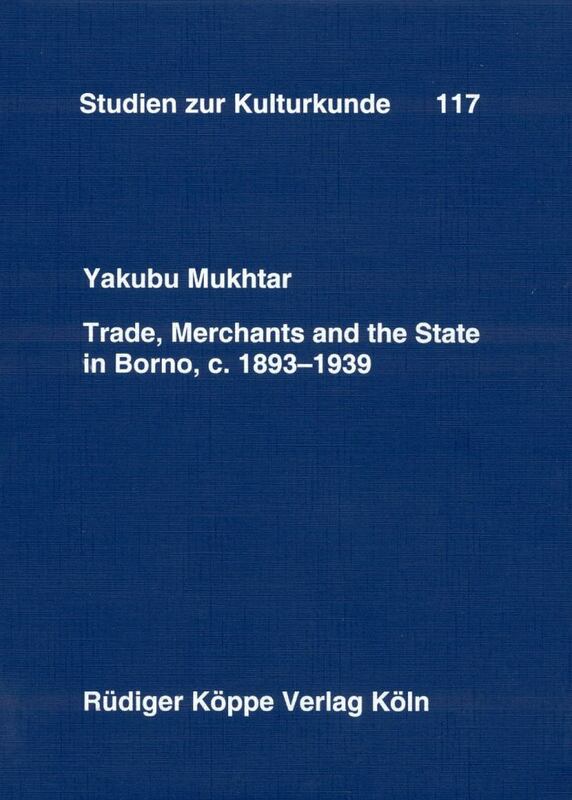 The present study on the economic history of Borno in the late 19th and early 20th century shows that despite the poor state of transport facilities during the first three decades of colonial rule, important commercial activity, both across the colonial boundaries and between Borno and other Nigerian provinces, existed. Furthermore, many of the indigenous traders involved in this internal and overland trade gradually came to serve as middlemen between the African producers and the expatriate companies in Borno when these companies were able to establish their presence after transport facilities to the province had been improved.